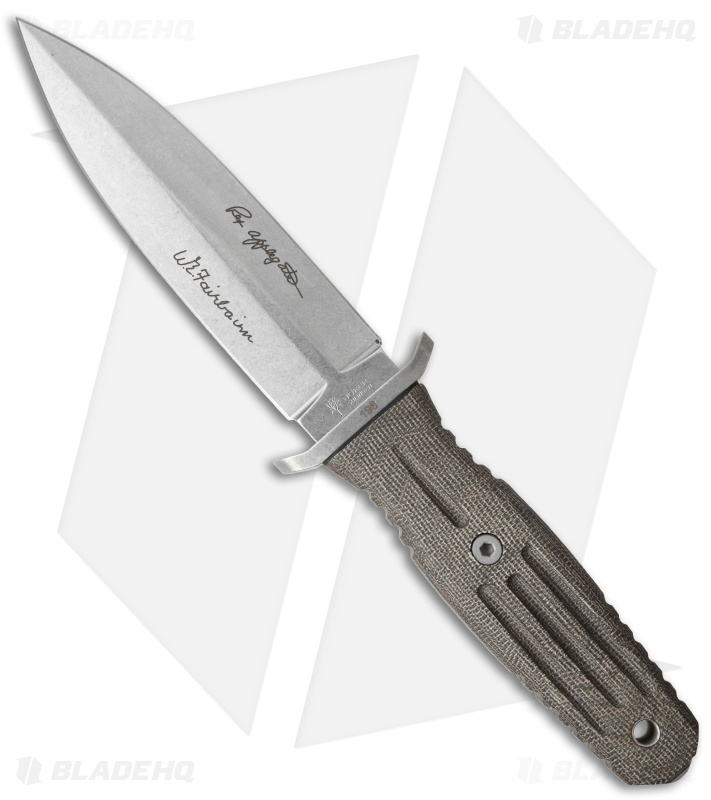 The A-F 4.5 is the little brother to the modernized 5.5 model from Bill Harsey and boasts the same impressive features as the original model, yet is more compact, with better handling and improved carrying comfort. The proportions were carefully adapted to maintain the strengths of this Applegate-Fairbairn model. The stainless steel dagger blade features a durable stonewash finish, and the sand blasted canvas Micarta handle scales provide a secure and comfortable grip. 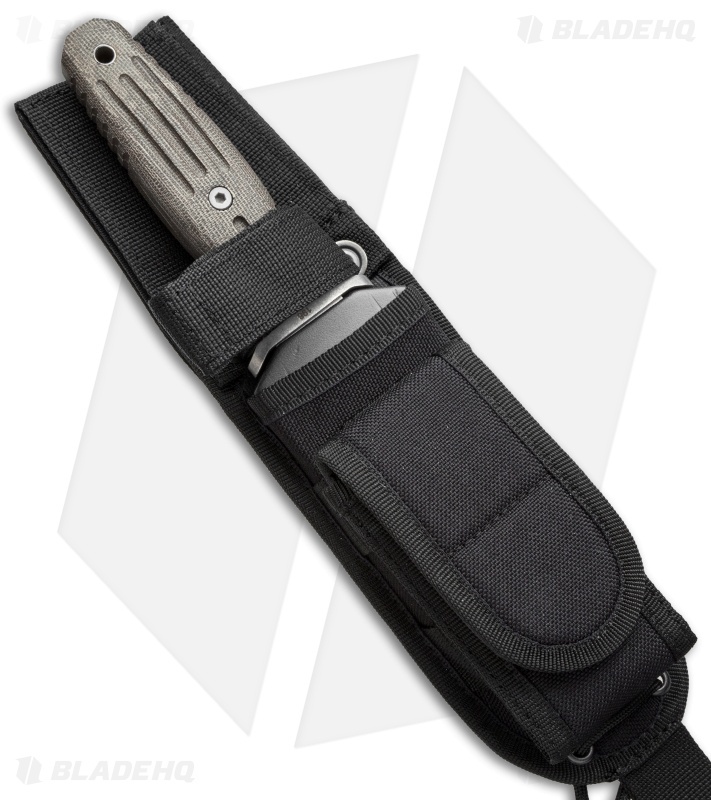 Includes a premium Cordura sheath.